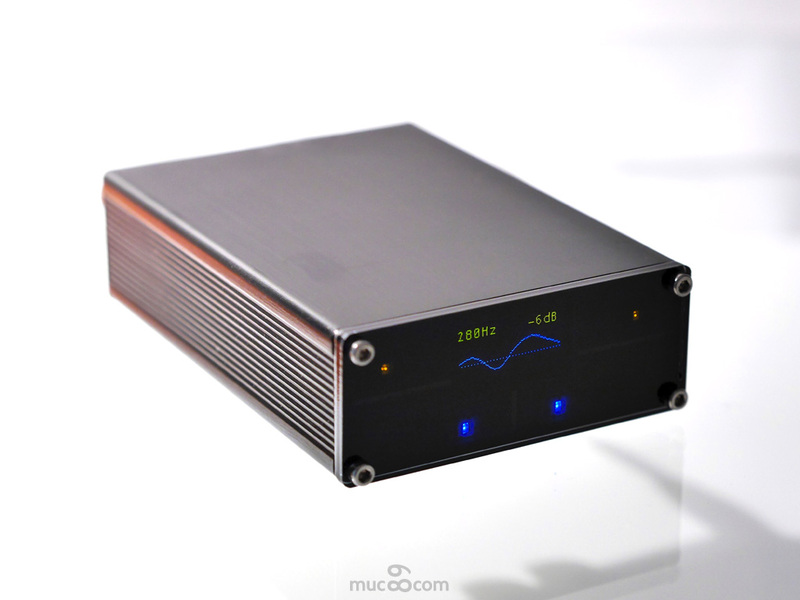 AMPER502T is a true digital, highly integrated and compact stereo power amplifier with up to 2x50 watts. While many conventional power amplifiers still utilize analogue pre-amplifiers and often have discrete analogue transistor based power sections, all components in AMPER are strictly digital leading to full performance and zero background noise. Digital input signals in AMPER are received with Wolfson's prestigious WM8805, then processed by its PLL and passed directly without re-sampling into the digital power amplifier IC STA350BW from STMicroelectronics. 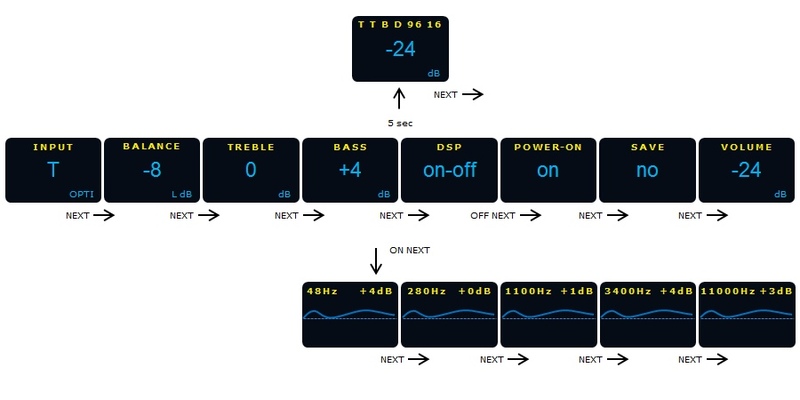 STA350BW is one of very few audio ICs, which can process high resolution digital audio data up to 96kHz directly. Hum, noise or grinding noise from used analogue potentiometers are anachronistic and a thing of the past with this topology. With a team of latest technology 32bit ARM micro-controller and coloured OLED display, AMPER is controlled comfortably and visually appealing. The result is a state of the art, small and compact power amplifier, which works seamlesly from 5V to 24V for music from PC, tablet, streaming box or partying sound. 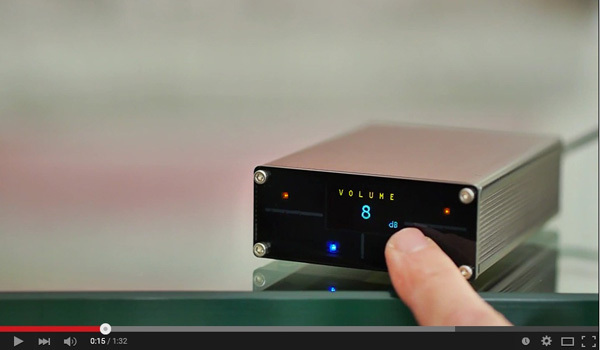 AMPER is first choice of a small, powerful, compact and fully digital stereo power amplifier with crystal clear sound. The AMPER502T audio power section is configured via digital control to operate as two BTL full-bridges, supplying up to 2 x 50W of output power - from 3Ω to 8Ω speakers. All AMPER amplifiers work already nicely with the 5 Volts from a normal USB-A socket. The AMPER502T is designed to work at voltages from 5V to 24V and provides a full, clear and strong-willed sound scenery over the whole range. AMPER has several large capacity electrolytic capacitors on board which deliver best peak music performance for most scenarios - even with smaller power supplies. For louder requirements a larger and seperate power supply is recommended, of course. By design, voltage and grounds are separated internally between the digital section and the analog audio section for minimum mutual bias. AMPER is protected by on-board poly-fuse, TVS diode and over temperature sensors against voltage reversal and over voltage. Nevertheless, the power supply shall comply with correct polarity and the maximum voltage of 24V at any time. AMPER502T has a two-staged voltage regulator section, which usually can only be found in high-end amplifiers. In the first stage a high-frequency buck step-down converter brings voltage down with optimal efficiency and low heat dissipation. For the second stage an ultra-low noise LDO provides the required voltage then with only 11.5 µVRMS output noise. For even better impulse response, AMPER502T electrolytic capacitors have an increased capacity of 5000µF in total.